The HONOR 10 Lite is a fashion icon you can hold in the palm of your hand. Inspired by the beautiful color, HONOR chose a youthful, energetic and natural design that fades gradually from light to dark – Shiny Red. 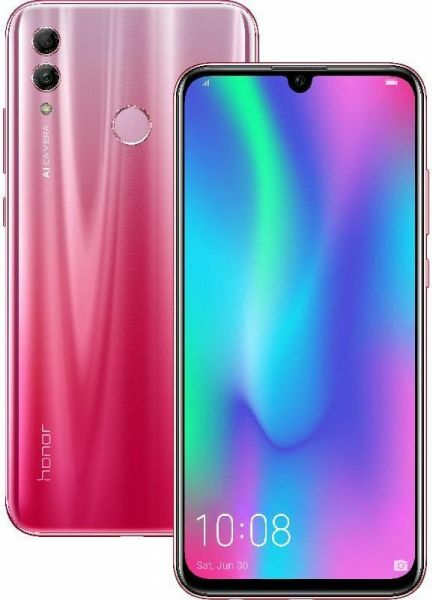 The HONOR 10 Lite features an industry-leading dewdrop notch display. With an impressive 90%+ screen-to-body ratio, a 6.21-inch display now fits within a 5.2-inch body, allowing for better viewing experience and a more comfortable grip. The 24MP front camera, combined with a 4-in-1 light fusion technology3 and exposure compensation technology, offers a superior selfie experience in both day and night lighting.The AI front camera recognizes eight selfie scenarios and even optimizes the background of the photo so you always stand out. The new software system EMUI 9.0 is optimized in every degree with 20% boosting. EMUI 9.0 introduces a minimalist and natural design to optimize the FullView display. All users can enjoy the HONOR 10 Lite in their own way. The Kirin 710 chipset and a flagship-level Cortex-A73 core reduce overall power consumption and provide a smoother, seamless performance. The 3GB RAM boosts the smartphone’s processing speed and the 64GB storage, which can expand to 512GB, can event double-up into your very own personal hard drive. I like it! the program running properly camera is nice. Although that the ordered item is excellent. It took more than a week for aramex to deliver it.